The movie '300' came out in the US on Friday, March 9, 2007, and like a lot of people, I wanted to see it, on IMAX even. I was lured in by the promised display of lots of man flesh and I was not disappointed. As of March 9th, I never knew some guy named Michael Fassbender was even on planet Earth. But on Saturday, March 10th, I saw him for the first time as the excited and eager to fight Stelios. I loved the movie so much, and Michael, that I saw it again the following weekend. Soon after wards, I started to Google him, learned more about him, saw him outside of his Stelios persona and was surprised to see a slight, cute, toothy young man just about to make it big in Hollywood. It would be a full year later that I would then be inspired to create a blog about him because after meeting him in Toronto in 2008, I was impressed and smitten big time, and was inspired to support Michael's endeavors by creating a fan blog to chronicle his life and career. There are literally thousands of actors just as ambitious and hungry for Hollywood fame like Michael Fassbender. But what stands them apart from Michael and a select few like him is the raw, pure talent to excel in the film industry and be in demand from top directors and studios. With no signs of his career wavering, Michael is at the top of his game and has won numerous acting awards and accolades, and has been nominated twice for an Oscar. 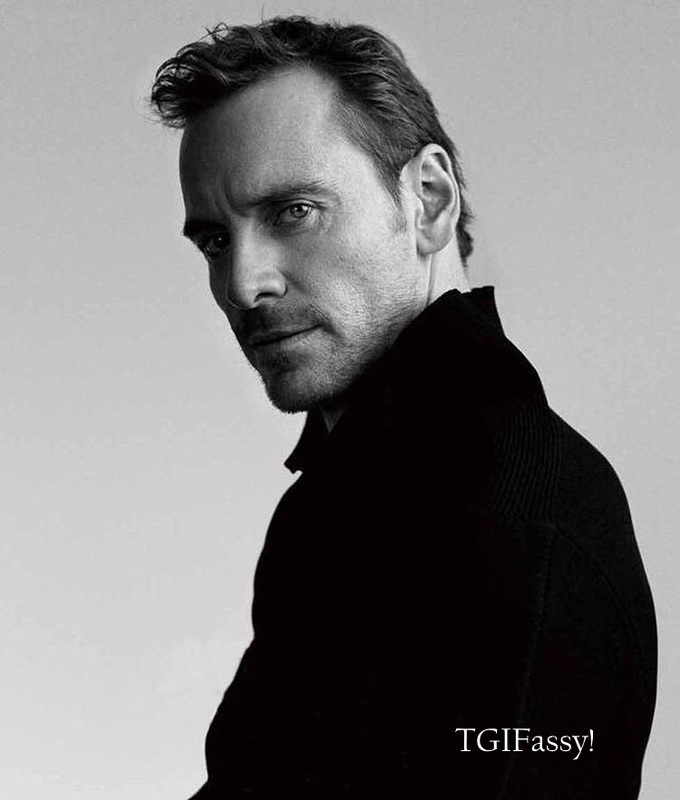 I will soon be celebrating 10 years of being the editor of Fassinating Fassbender, and I can honestly say that when I took on this venture, I was just going with the flow and using my interest in Michael Fassbender as a creative outlet in covering the entertainment world. But I think by the following year, and most definitely in 2010 when I interviewed him for the blog, that's when I realized that I was in this for the long run - permanently - I ain't going nowhere! In recent years, there have been many fan sites, tumblrs, twitter accounts, etc., focused on Michael Fassbender. And all these places offer something unique to a very diverse fan base. Fassinating Fassbender, while one of the oldest websites, we're not the biggest, and we don't have the largest fan base, and that's perfectly fine. So many fans have come and gone, but I'm still here. I don't personally know anyone who has been with FF since the beginning because fandom is fickle, it's always been that way in every fan genre. I never take on a project that I don't believe in, and it's such an honor to still be a huge fan of Michael for a decade. Not many Fassinators can say that. Sure, there are a few remaining fans who have genuinely known of Michael since his Hex days on BBC 2004-2005 (I didn't have cable TV). A great number of them became fans because of 300, like me; but the majority came on board once Michael got involved with the X-Men franchise in 2011. With my prior close proximity to Toronto, I've had the pleasure of seeing and meeting Michael a few times at TIFF, and each time my appreciation of his talent swells a bit more. To honor Michael's April 2nd birthday, we are in our 5th year of the birthday fundraiser supporting a British charity, The Bike Experience, which helps disabled people ride a motorcycle, a hobby that is near and dear to Michael. Since 2013, we have raised just over £4400 and we hope to add another £1k, at least, to that total by the end of this fundraiser. It would be easier and for vanity reasons to switch up fundraisers and support an American one because the dollar amount would be easier to raise and more impressive to brag about, instead of the more valuable British Pound which hurts those of us donating in US funds. But because Michael has lived in London for more than a decade, it makes sense to support a charity based in England. This weekend at the SXSW festival, Michael's latest film, Song to Song, will open the festival, and it will be released in US theaters the following Friday, on St. Patrick's Day no less. Also on Friday, there will be a special 'Meet Walter' video released to promote Michael's character in Alien Covenant. And lastly, to close out the year of award nominations, Michael has received his ninth Irish Film & Television Award nomination for The Light Between Oceans. 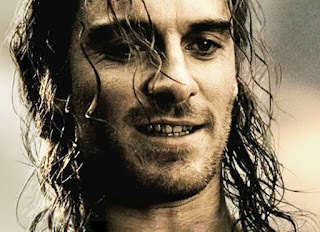 I hope you enjoyed reading this week's TGIFassy to honor my 10th anniversary of being introduced to this amazing actor. I'm going to watch 300 this weekend to celebrate the occasion. Thanks in advance for your donations to the fundraiser to honor Michael's upcoming 40th birthday! 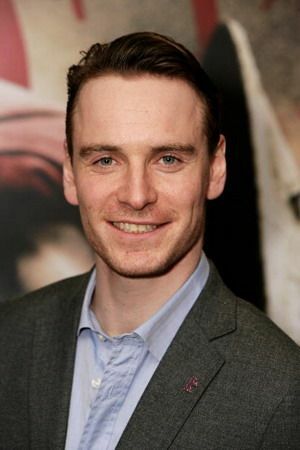 Michael Fassbender is my Agent of Fortune(male muse). He's inspired me, so much! I can't believe you got to actually meet him! I packed up the family and we took a weekend road trip to Austin for SXSW. I had the privilege of attending the SONG TO SONG premiere and the Q and A for the movie the following morning. I even asked him a question! But, sadly, I didn't get to actually meet him :-( I am confident I will, one day. Michael's extraordinary talent has inspired me to pen some scripts(something I've never done, but always wanted to try) with him acting as the lead characters. One's a comedy, because he's mentioned wanting to do a comedy(and I think he's hilarious), and the other a drama, because he's a brilliant dramatic actor. My dream is for him to one day read the scripts because I know he loves a good story! I've tried contacting his people but they probably think I'm a loon or after something, which I'm not. I'm just a simple fan trying to share a story with an incredible human being named Michael Fassbender!